The best type of pipes for residential plumbing depends upon the application of the plumbing system. In general, residences have three types of plumbing systems: water supply systems, drain, waste and vent systems (DWV) and landscape irrigation systems. Learn about the right types of pipes for common plumbing systems and you can choose the best one for the job. 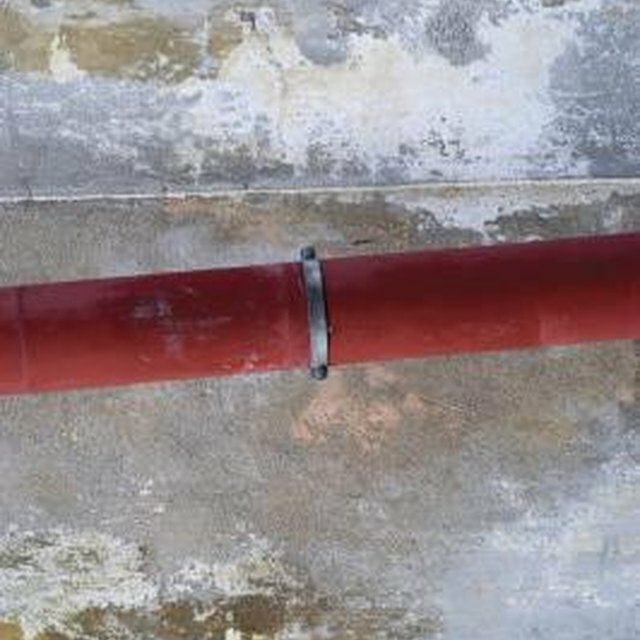 Plastic pipes, such as ABS, are commonly used for drain plumbing. Plumbers use several types of pipes to supply a home with potable water. The most common types of water supply pipes are copper, iron and cross-linked polyethylene. Local building codes and engineering requirement ultimately determine the most suitable type of pipe for a particular project. Drain, waste and vent systems deliver waste water to sewers and septic systems. The most common types of pipe used for residential waste lines are plastic, such as ABS and PVC, and cast-iron. Again, suitability depends upon the specific requirements of a project. Landscapers typically use rigid polyvinyl chloride (PVC) or flexible drip tubing to construct residential irrigation systems. PVC is generally more durable than drip tubing. However, drip tubing is less expensive and easier to install than PVC.